I am hiring! And because the University of Glasgow jobs website is both fickle and confused when it comes to links, I am going to post the job announcement here in its entirety. This internship, as I said above, is only open to current U0fG SPSS PhD students and will run for about 87 hours, 4 to 8 hours a week. Sorry, non-UofG folks, this is the stipulation of the funding. Other opportunities might open up in the future, however. 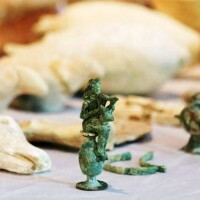 The intern will aid in the creation of an online antiquities trafficking and art crime news database by adding several collections of articles into the emerging database. The intern will also use WordPress to add content to the site stolengods.org and will use Twitter to design and deploy research-related social media communications via @stolengods and @culture traffic. The intern may assist the supervisor in activities related to one free and three for-pay online courses regarding art and antiquities crime that are currently being developed. E3 Proven initiative and judgement to resolve problems independently. If you are interested in applying for an internship with the School of Social & Political Sciences please apply online by 4pm on Tuesday 12th January 2016. Late applications will not be accepted. For guidance and help completing an application form or constructing a CV please visit www.glasgow.ac.uk/careers.